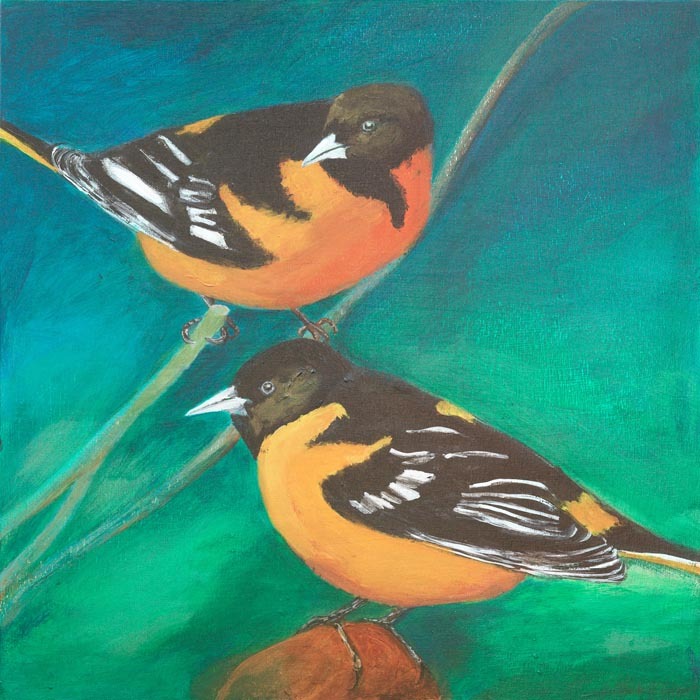 Two Baltimore Orioles by Wendy Weldon. Next week’s spotlight shows at the Shaw Cramer Gallery include woodcut paintings by Ruth Kirchmeier and multi-layered acrylic on canvas paintings of barns and stone walls by Wendy Weldon. On Tuesday, August 30, at 6 p.m. Ms. Kirchmeier will discuss the intricacies of woodcut carving, painting and printing. On Thursday, September 30, Ms. Weldon will share her inspirations and thoughts about exploring new concepts and techniques in painting. Her paintings originate as handcarved woodblocks. The Shaw Cramer Gallery is located at 56 Main street in Vineyard Haven. For more details, call 508-696-7323 or visit shawcramergallery.com.